The the next round will be held Sept. 23-27 in Ottawa, Canada. MEXICO CITY — The second round of talks on renegotiating the North American Free Trade Agreement ended Tuesday amid resistance to discussing Mexico’s low wages and large differences over dispute resolution mechanisms. 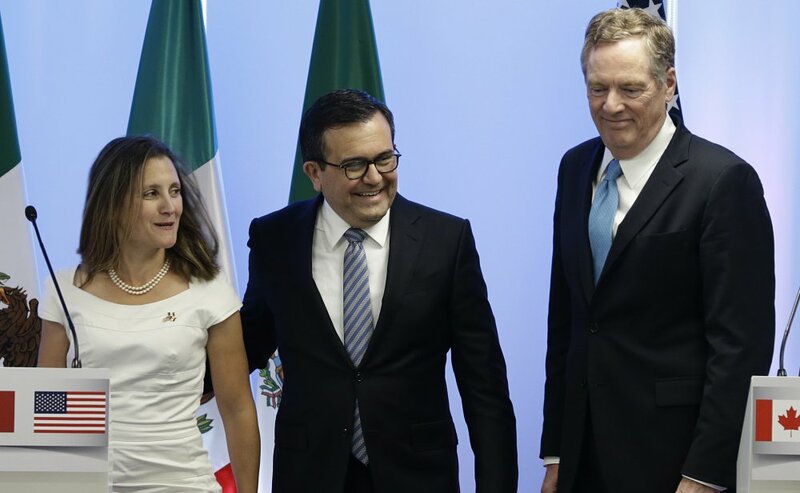 The head negotiators for all three countries at the talks in Mexico City said progress had been made, but U.S. Trade Representative Robert E. Lighthizer said some areas were going to be challenging. He also said that while the U.S. had proposed eliminating the current dispute resolution mechanism, “we haven’t had any detailed negotiations” on the system, which is known as Chapter 19. Text was coming together for most chapters of the treaty, however, including small and medium enterprises, competitiveness, digital trade, services and the environment. “The strategy is to conclude in the short term those things that can be concluded” and then tackle the thornier issues, Mexican Economy Secretary Ildefonso Guajardo said. Regarding energy, Guajardo said “there are no points of difference or controversy.” He said the main question was whether it should have its own chapter or be spread across all chapters. But those close to the talks said relatively few concrete proposals appear to have been made on contentious issues like dispute-resolution mechanisms, seasonal farm tariffs and regional content rules. The United States wants to eliminate the Chapter 19 private arbitration panels, while Canada wants to keep them. The panels can overrule tariffs, making it harder for the United States to unilaterally block products.